Rockies didn´t repeat performance from Tuesday and after loss they lost this series. Nicasio played solid game. He pitched 5 innings and allowed only 1 run. Rockies was leading after 6 innings 3-1. Unfortunatelly in 7th inning struggled Outman and allowed 3 walks and one run. And in 8th Belisle struggled as well. 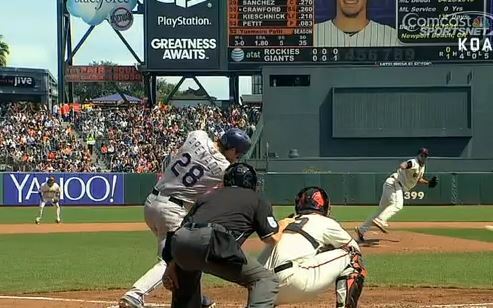 Matt allowed 2 runs and Giants turned the score. Cuddyer is leading NL BA stats with .334. Michael was 3-for-4 tonight. Very good night had Arenado with two RBI singles. One RBI had Culberson as well. Rockies lost last series against Giants this season. On Friday they will start new series against Arizona.